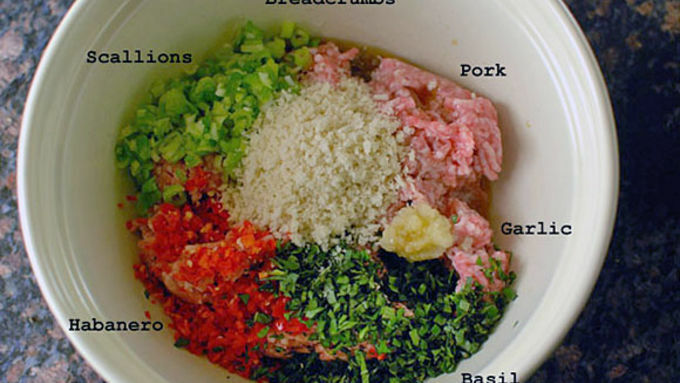 Mix everything (except for the mushrooms, buns, and lettuce) in a large bowl until well combined. 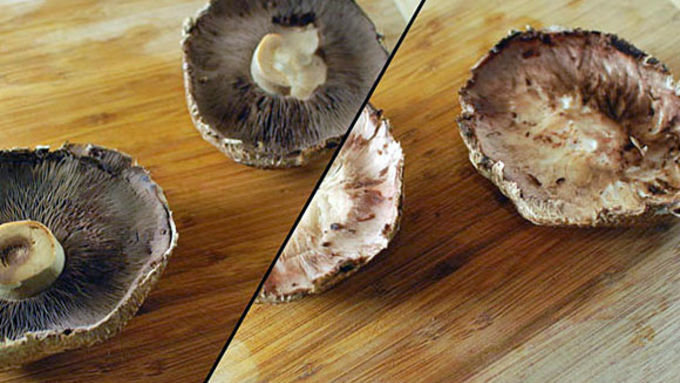 Carefully remove the stems and ribs from the mushrooms, leaving the cap intact. Spoon the meat mixture into the mushroom caps and really press it in there tight. Grill the mushrooms (meat side down) on low and with the grill cover down for about 20 minutes, until well browned and just about cooked through. Flip the mushrooms and cook another 7 or so minutes until the mushrooms are tender. 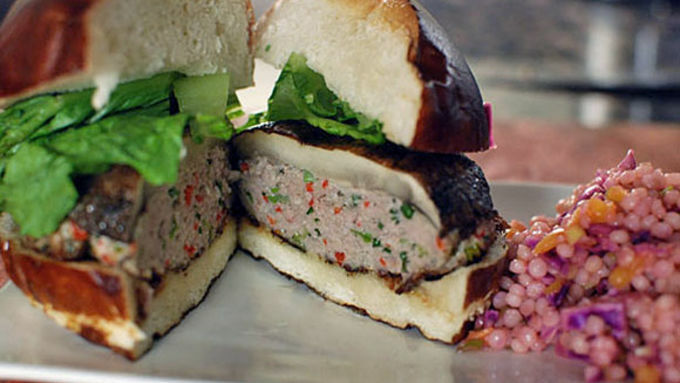 Serve the mushrooms on a burger bun with some lettuce or any toppings you desire. I can’t stop thinking of recipes for stuffed things! That’s because I have been writing a cookbook for the past few months called Stuffed, in which – you guessed it ­– all the recipes are stuffed foods. I think my brain is stuck in stuffed mode though, because even though the book is done, I keep coming up with new stuffed ideas! At this rate, Stuffed 2 will be right around the corner! Until then, I’ll just have to give you guys some extra recipes. 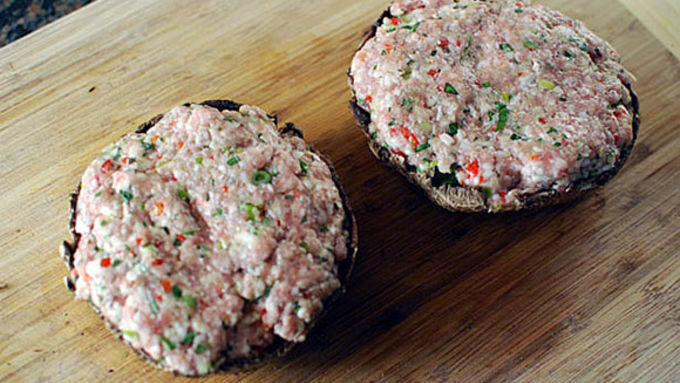 This one is a super flavorful savory stuffed mushroom that you serve on a bun like a burger. I call it “porkabella”. It has slightly Asian undertones and is a fun unique idea for your next BBQ. 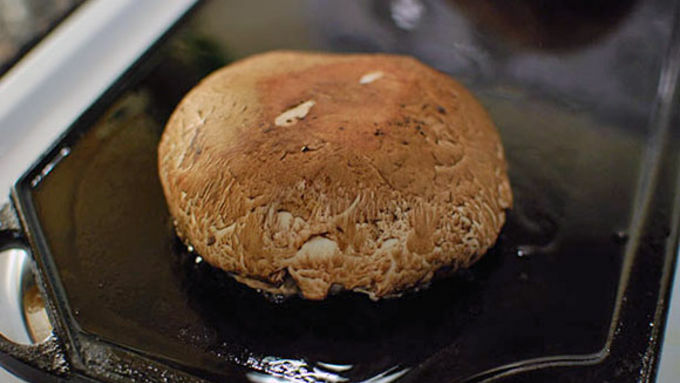 Try this Spicy Pork-Stuffed Portabella and get into the Stuffed spirit! 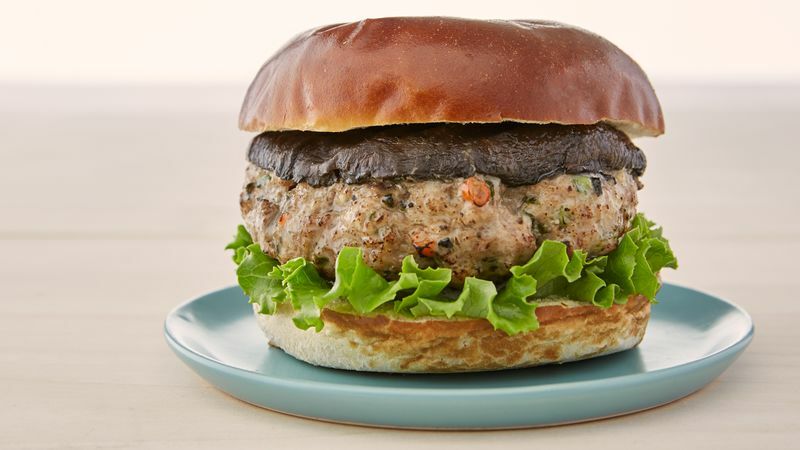 The mushroom really absorbs the pork flavor and also helps seal it into the burger. These things are crazy juicy and bursting with flavor and umami. If you don’t want the heat, go ahead and use less habaneros, or instead use jalapeno or chile flake.